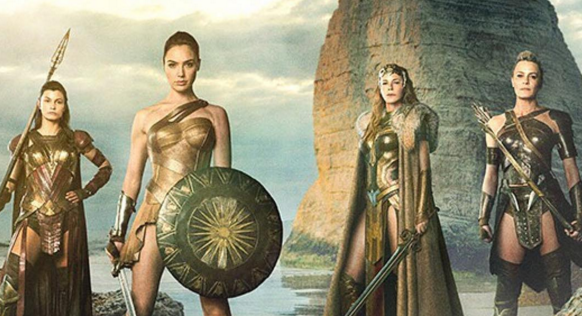 Warner Bros. has released a new image from Wonder Woman, and it offers a peek at Diana's warrior family. The DC saga stars Gal Gadot, and it's targeted for a June 23, 2017 opening. Pictured below are: (left to right) Diana's aunt (Antiope’s lieutenant) - Menalippe (Lisa Loven Kongsli), Diana / Wonder Woman (Gal Gadot), Diana’s mother - Queen Hippolyta (Connie Nielsen), Diana's aunt - General Antiope (Robin Wright). Exclusive! Meet the warrior women training Diana Prince in #WonderWoman. Learn more now on EW.com. ✏️: @DCComics.